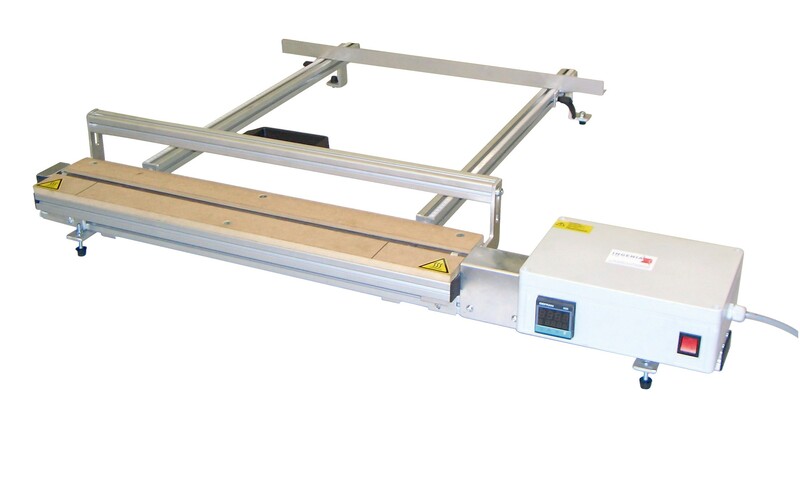 The HT table heating line model is for non-contact heating of amorphous and partially crystalline plastic boards (e.g. PVC-U, PMMA). Single-line heater (230 V) with digital temperature controller, holding-down clamp and a width or height-adjustable wood bearing surface. Optionally available with parallel end stop, timer with acoustic signal, teflonized rounded-off strip. Available in the following 0.5 m, 1 m, 1.5 m, 2 m and 3 m working widths.